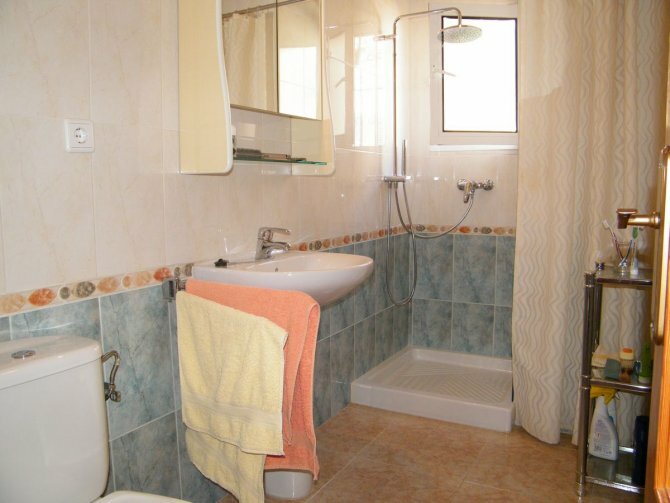 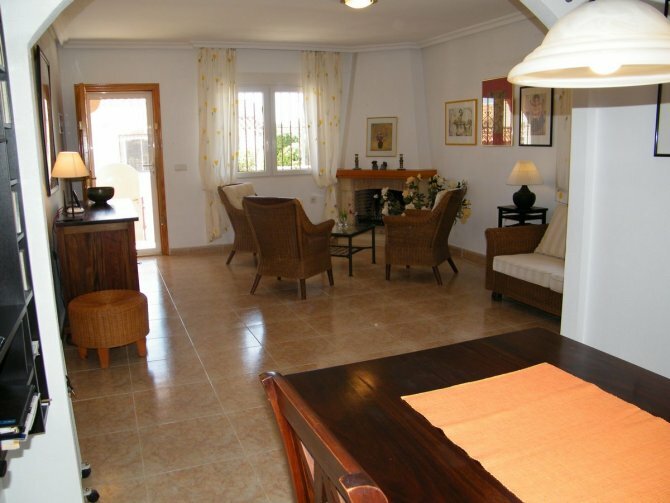 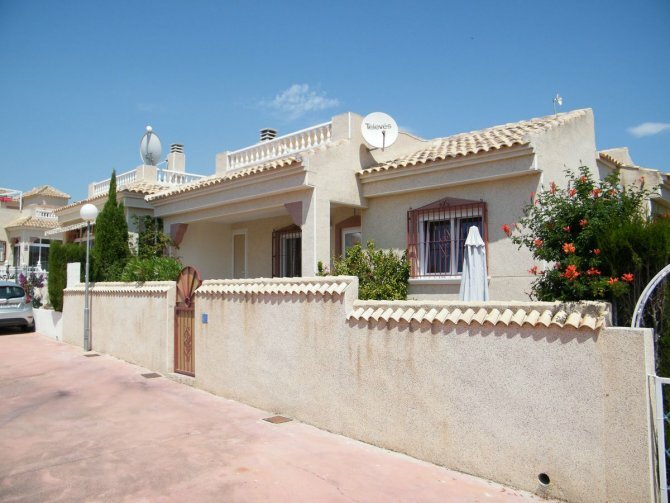 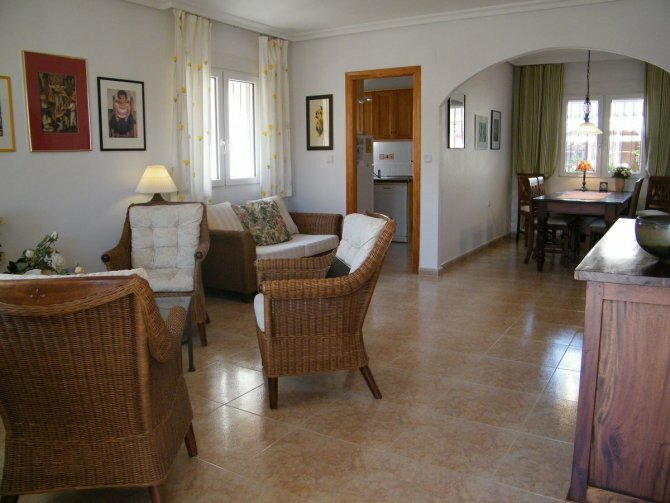 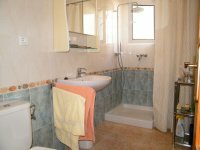 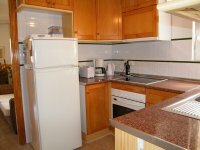 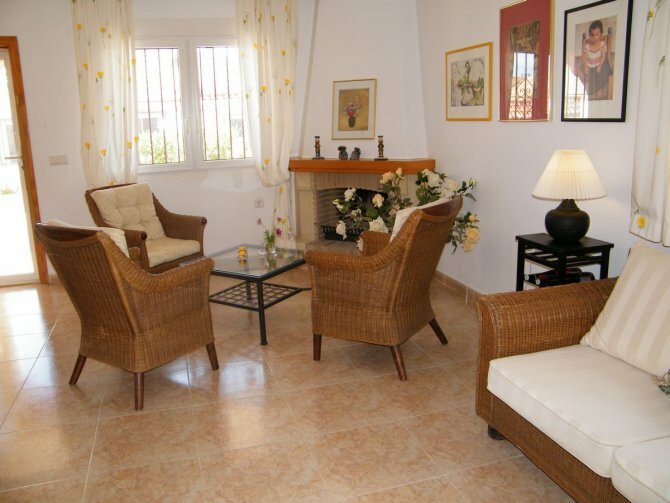 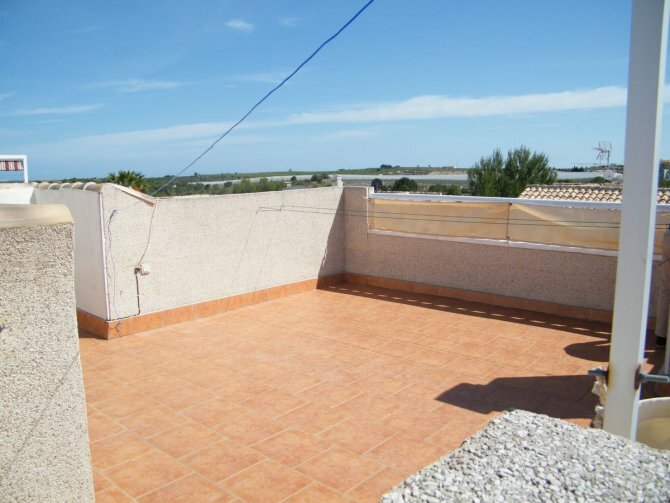 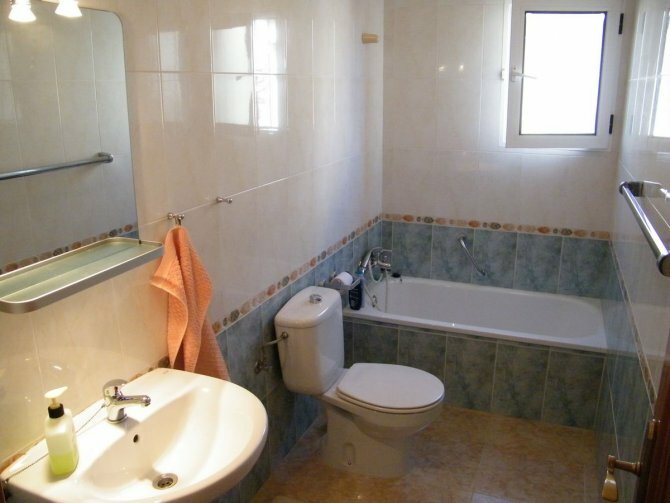 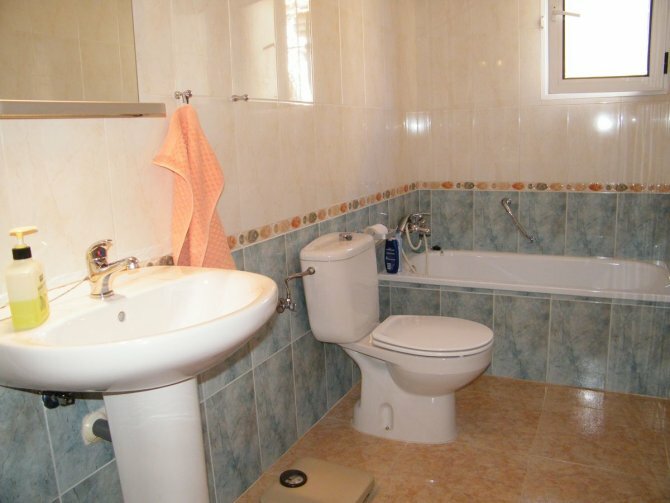 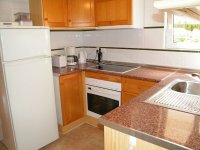 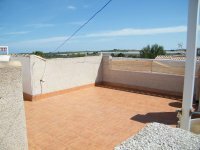 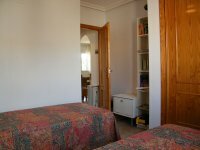 LOVELY DETACHED VILLA situated in the residential area of Montesol II, on the outskirts of the quaint village of Algorfa. 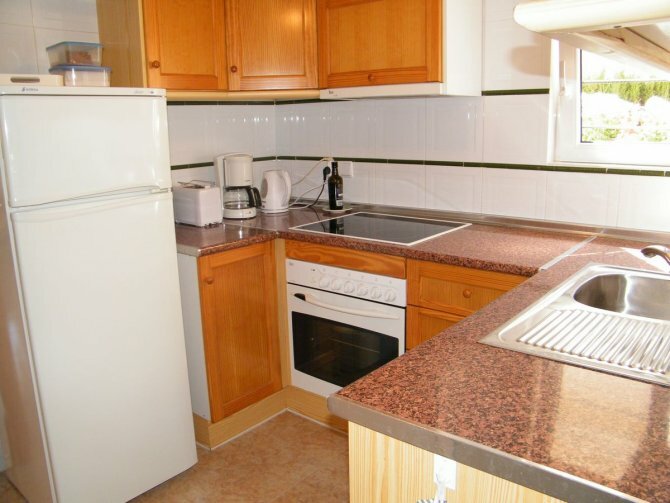 This charming property is South facing and comprises of a bright open plan lounge with feature fireplace and dining room; separate fully fitted kitchen; two bedrooms and two bathrooms one of which is an en-suite. 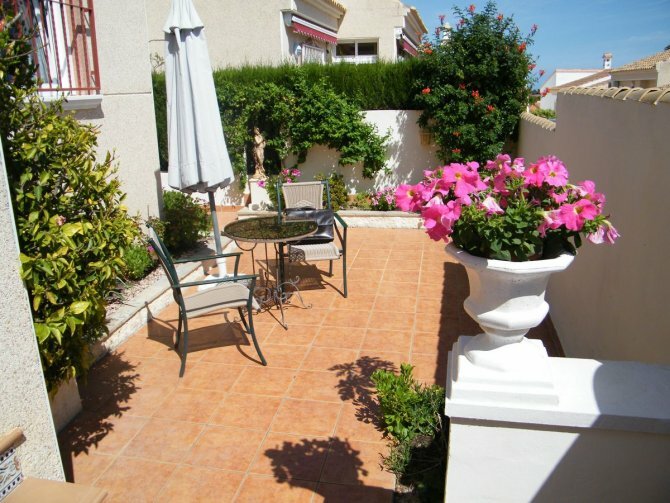 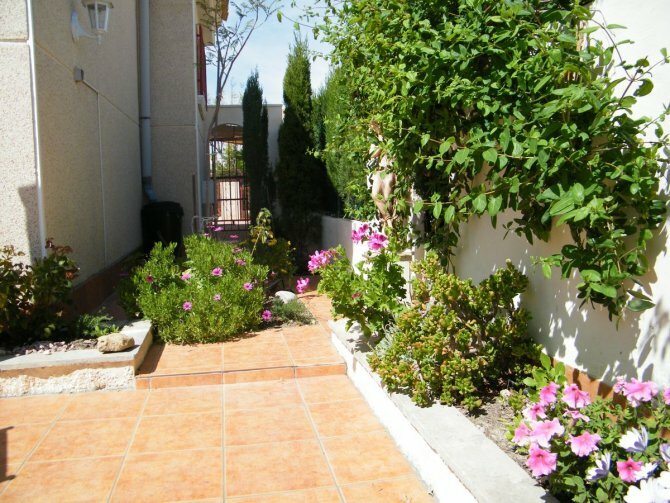 Moving outside there is a good sized tiled garden with flowers and small trees which is easy to maintain with a couple of steps up to a terrace. 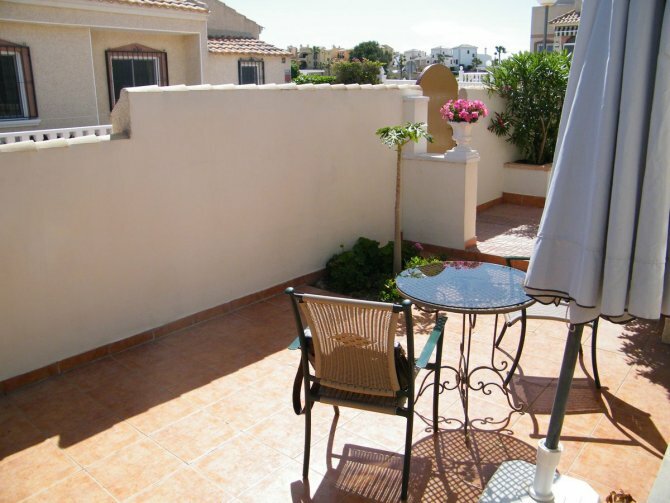 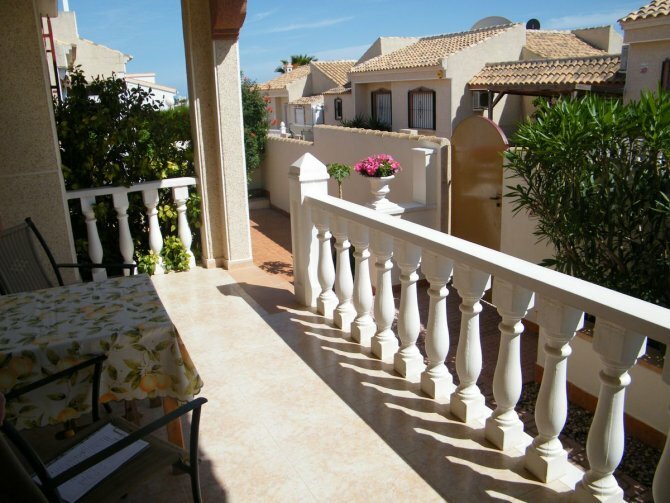 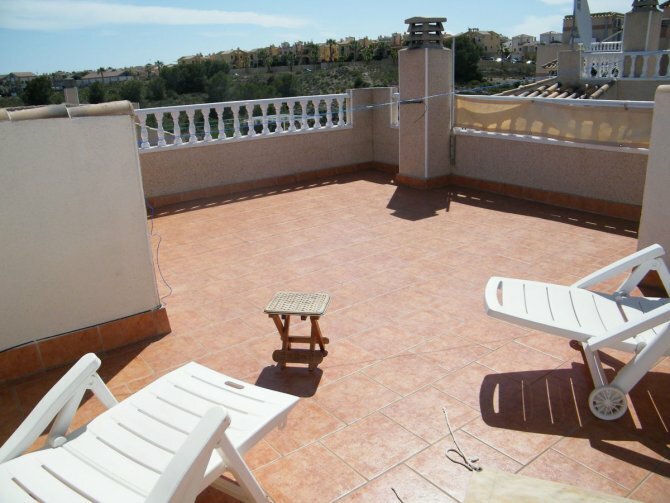 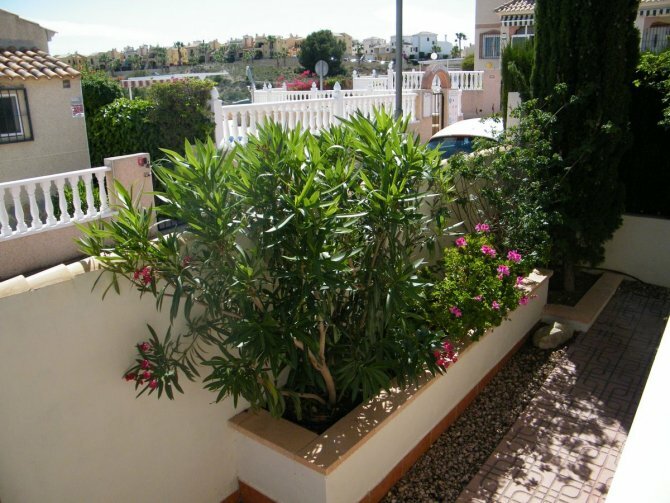 To the side of the property there is a staircase leading up to the large private solarium where you can enjoy the beautiful Costa Blanca weather. 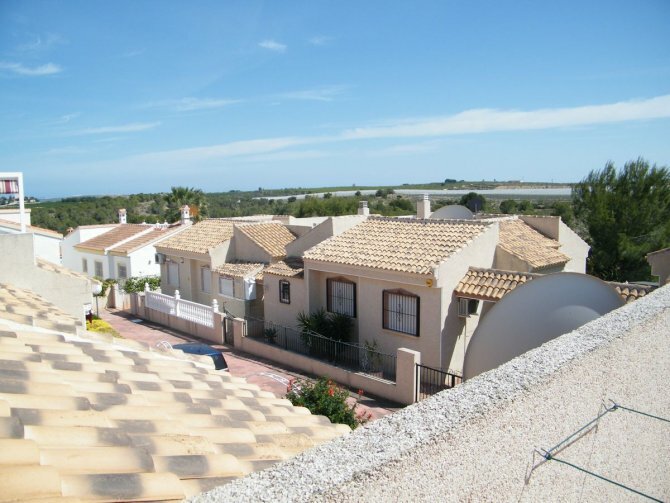 This property is within walking distance to the Championship La Finca Golf Course and various bars and restaurants and only a 2 minute drive to the village of Algorfa and all the amenities it has to offer. 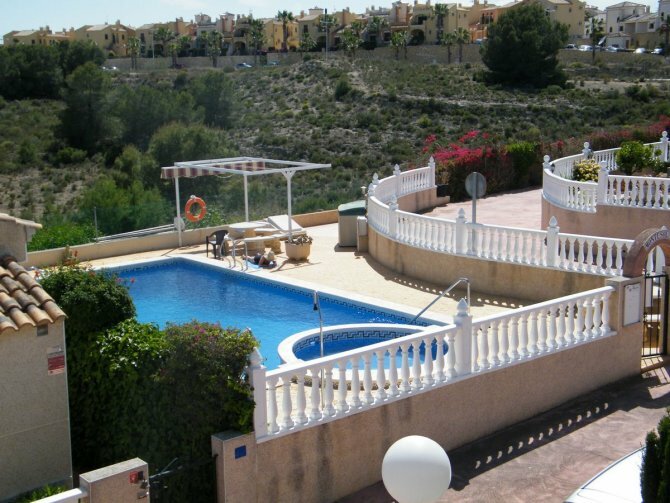 Access to the communal pool is just a stones throw away. 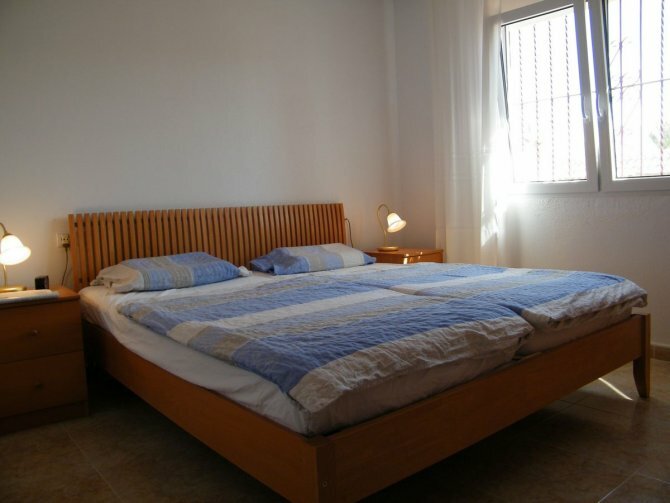 The award winning blue flag beaches of Guardamar del Segura are only a 15 minute drive away and both Alicante and Murcia San Javier airports approximately a 30-minute drive away.